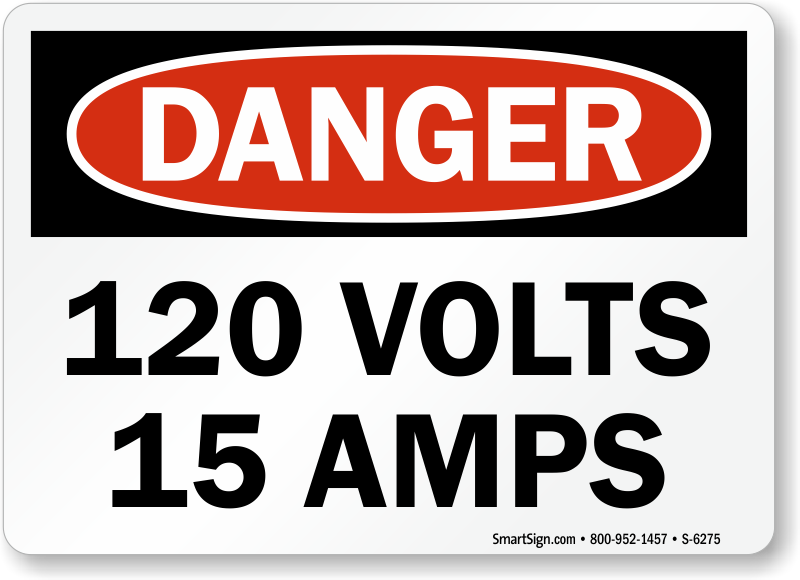 Use our High Voltage Signs- 120 Volts to make the amount of voltage required to operate an electrical equipment clear. 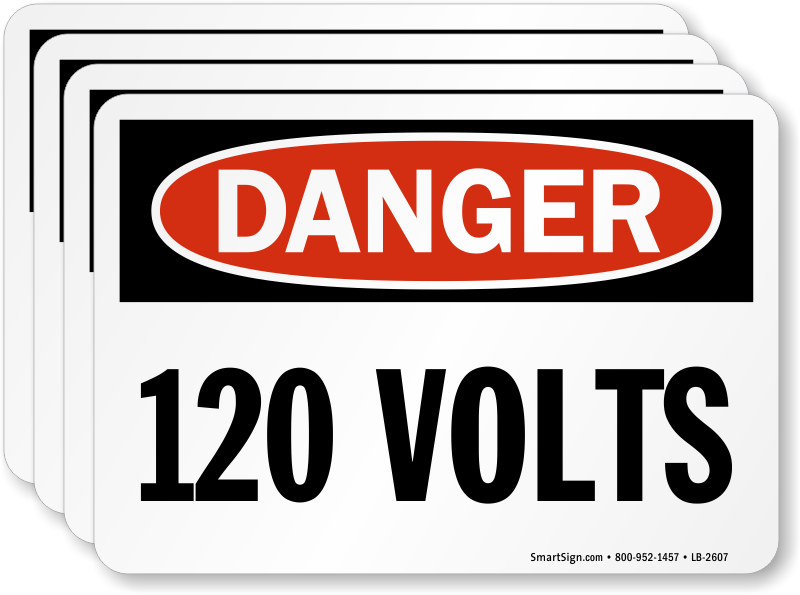 Choose from voltage markers in different sizes. Orange colored ones stand out. 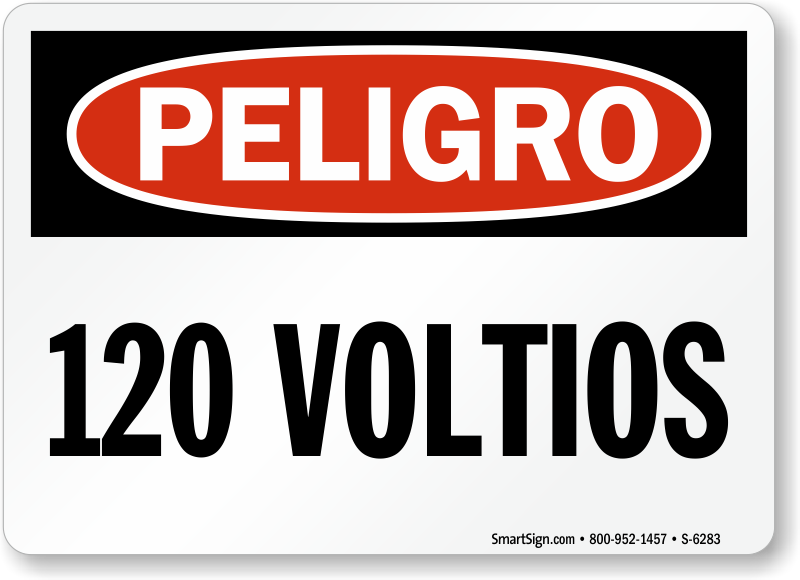 You can use these markers to identify power lines, conduits, bus ways, fuse boxes, switches, and outlets. 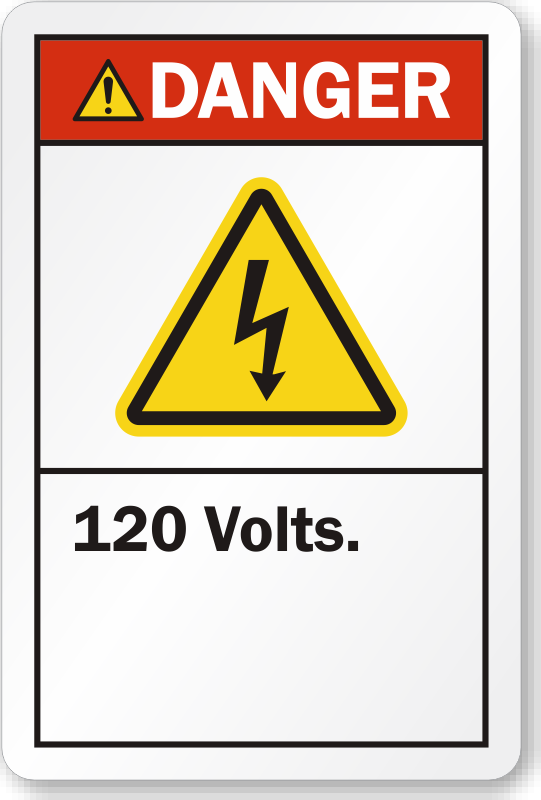 This way, electric equipment won’t get damaged. 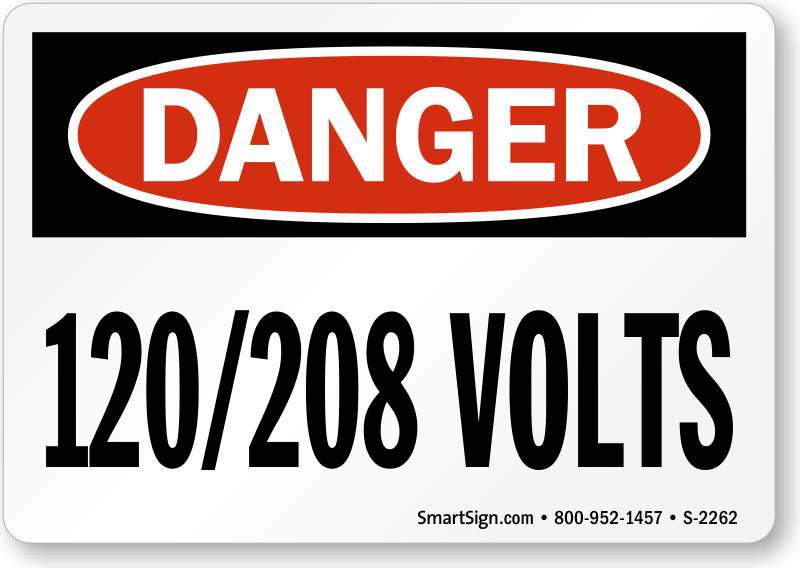 Workers will be safe too. 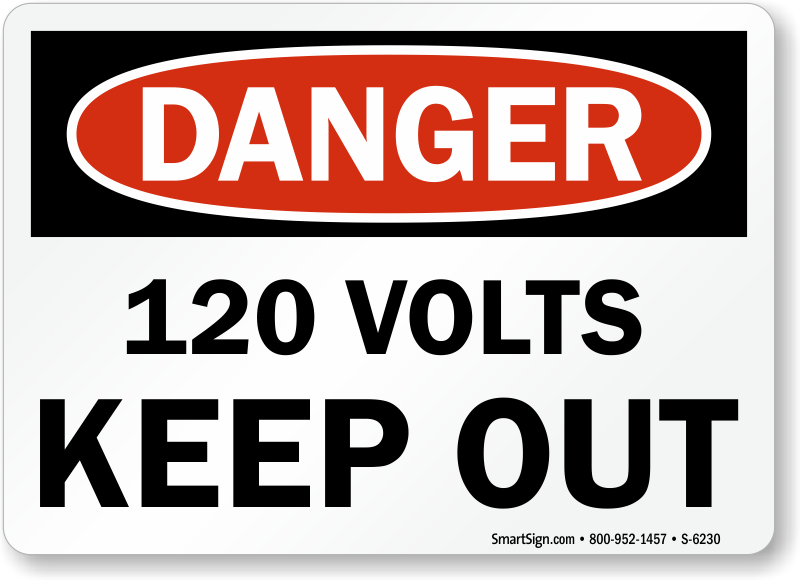 These signs will enable you to comply with federal and state regulations. 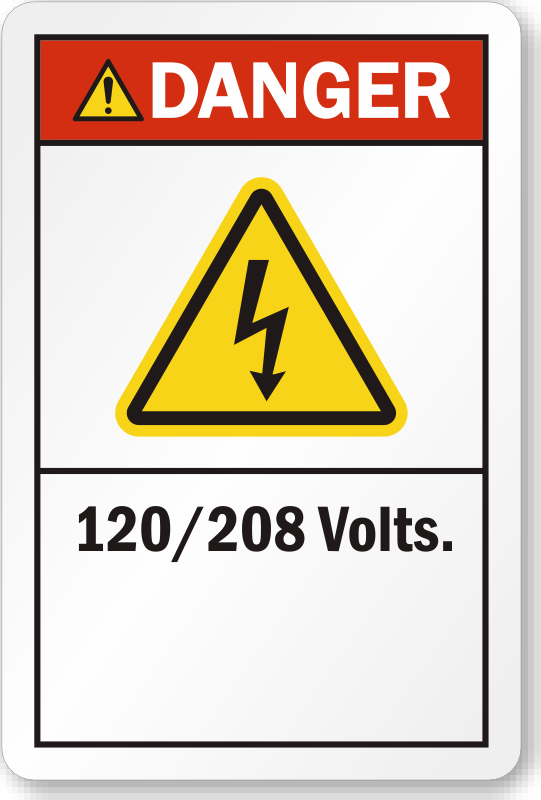 120/208 Volts, 120/240 Volts, 120/480 Volts markers are available, so you can choose the one which best fits your requirements. • Markers are printed on 4 mil thick vinyl and feature permanent acrylic adhesive backing. 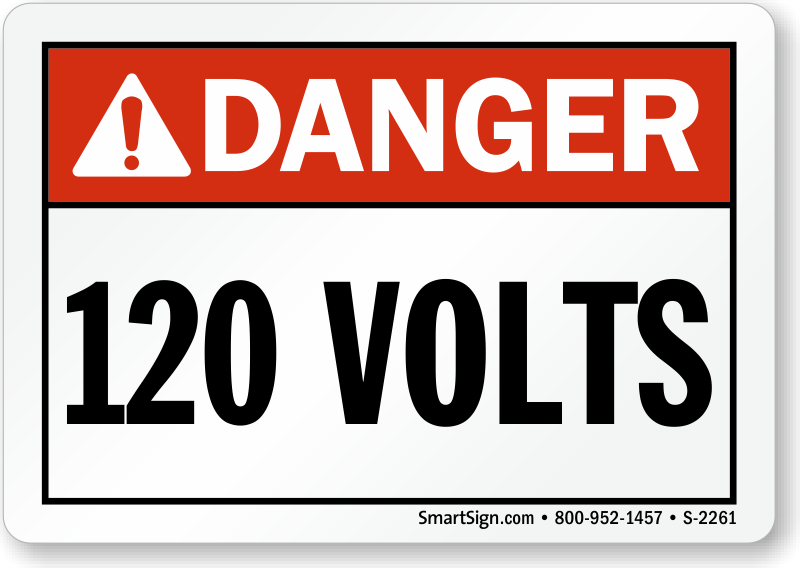 • Bold fonts are easy to understand. 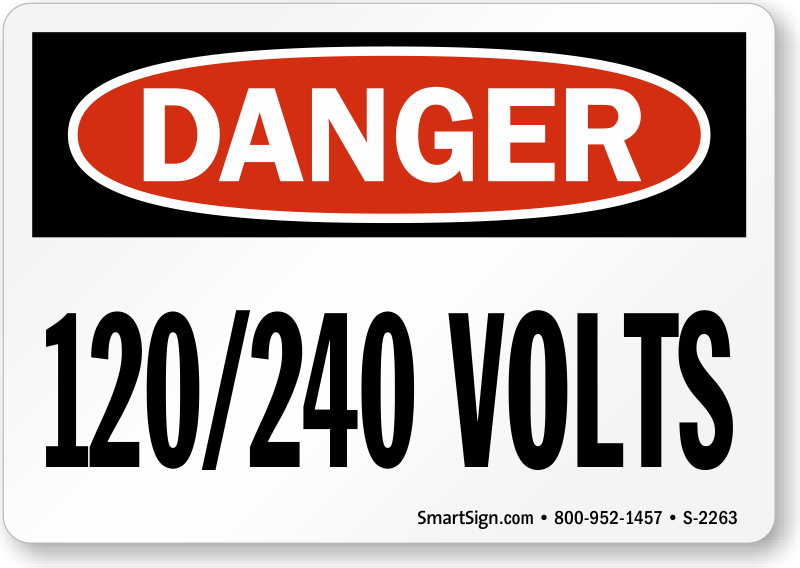 • Signs with “Danger” signal word available.